A four-part series on book publishing! Today, we’re breaking down Part 2 of our series and looking closer at social publishing. Miss Part 1? Here you go. In my last post, I compared the things aspiring authors need to know to the various magical creatures from Fantastic Beasts and Where to Find Them. This post is about one of those creatures in particular. It’s a large, yet elusive “beast” with the rare ability to make things explode in moments: social publishing. Like any mystical creature, there are those believe in it wholeheartedly, and those who don’t. Social publishing is when an author uses social media to publish their work. It allows authors to share work and make an instant connection with readers. Perhaps one of the best examples of this is poet Rupi Kaur. Kaur self-published her first collection of poems, milk & honey, using Amazon’s CreateSpace platform. However, it was posting her poems on Instagram that helped her cultivate a massive following and eventually lead to her landing a traditional publishing deal. Kaur isn’t the only one who has found success sharing her work on social media. 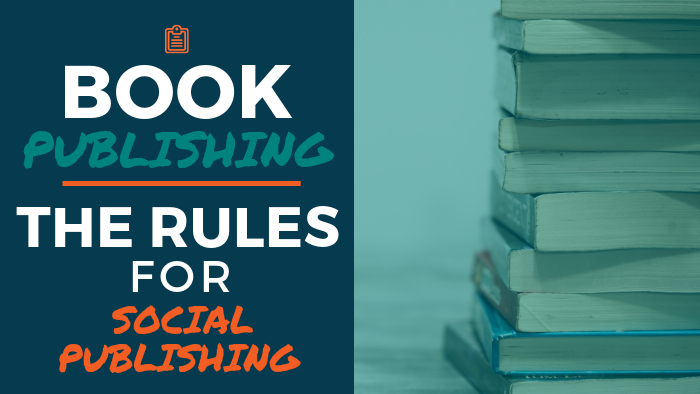 While it certainly may not eclipse traditional publishing or even other forms of self-publishing, sharing your work through social media has the ability to make a real impact in an industry that’s notoriously hard to break into. Kaur herself remarks on just how difficult it was for her to navigate world of publishing when she first started out. Whether or not you decide to become the next Insta-poet, there are valuable lessons to learn from artists like Kaur, who have found success though social media platforms. Use social media. It’s a valuable — and free — tool to help get you and your writing out there. Not sure what platform is best for you? Check out this blog on which platforms you should use based on the genre you write. Be mindful of your social media presence. No matter what platform you use, it’s important to be aware of how you interact with others via social media. This post gives some helpful examples of writers who use social media well. Be genuine. Give readers something to resonate with. A large part of the appeal of artists like Kaur is the fact that they use social media to connect with their readers in a real and meaningful way. They don’t just fill up their followers feeds with promotions, ads, or clickbait. Though the same could be said of social media’s affect on the world of publishing. And though this all sounds like something a millennial dreamed up on their smartphone (and in some ways, it is) — it’s real and it’s growing.